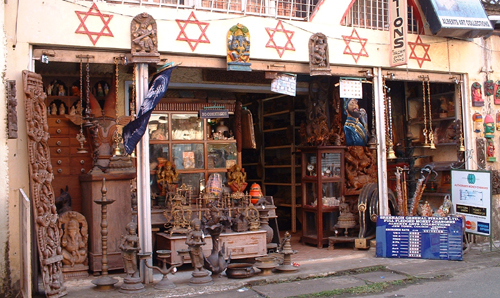 Explore Jewish India offers superb service at a reasonable cost. Enjoy luxury accommodations, comfortable transportation, gourmet meals, and the expertise of knowledgeable guides. We handle your baggage and look out for your health. ​Our days are full and bursting with activity. India is our home—and we try to make it as warm and welcoming as possible for you. Below are some short answers to our most frequently asked questions. Want to know more? We have extended information about accommodations, packing, food and more. What is the weather in the cities we are visiting? What kind of clothing should I bring? Mild temperatures make the months of November through February the best time to travel to India. It’s good to bring clothing that you can layer to accommodate any variations in climate. What languages are spoken? Can I get by with English? English is widely spoken. Hindi is the official language but there are 18 major languages and 544 dialects. Where will we be eating? How safe is the food? All the restaurants are top quality in terms of cleanliness and hygiene. We will be eating in purely vegetarian restaurants; no non-kosher food will be served there. Breakfasts are at the hotel buffets. What immunizations should I have? What medications should I bring? Please discuss vaccines and medications with your doctor. There are no required vaccines, but please make sure that all your regular vaccines are up-to-date. Rahel Musleah has made it her mission to bring Jewish travelers to India—and especially to Jewish India. The seventh generation of a Calcutta Jewish family, she traces her roots to rabbis and leaders in seventeenth‑century Baghdad, and has learned the music, prayers and customs of the community first-hand from her father, rabbi in Calcutta in the mid-20th century. Rahel is an award-winning journalist, author, singer, speaker, and educator, and relates the history and heritage of India’s Jewish communities through the vivid prism of her family's story. Her articles have appeared in publications from The New York Times to Hadassah magazine. Joshua Shapurkar is a member of the Bene Israel community of Bombay and has been leading general and Jewish tours for over twenty-five years. Joshua’s winning manner, vast knowledge, and uncanny ability to solve problems make him an unbeatable guide, one who will help you fall in love with India! Review trip details and costs here. Register to join the tour here!